The UK wooden window manufacturers - nationwide delivery on bespoke timber windows and doors! Best price & quality, guaranteed! 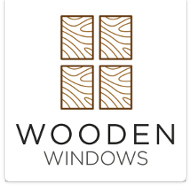 Use our online window builder to design and buy your wooden windows online. Take delivery of your new bespoke timber windows in just 7-10 working days! Either at our midlands based factory showroom, or at a regional trade show. Come and meet the team at the National Homebuilding Show at the NEC 28th - 31st March 2019. Our Stoke-on-Trent based 95,000 sq ft manufacturing complex boasts the very latest in technology for high performance timber window production. Manufacturers of bespoke high performance, yet affordable timber windows & doors. We pride ourselves on offering a friendly personal service and an exceptional product at the most competitive prices on the market. We guarantee quality workmanship and complete satisfaction with every project we undertake. Bespoke wooden windows, delivered in 7-10 days. Bespoke wooden doors, delivered in 7-10 days. Design and buy Sliding Sash windows online. visit our showroom... Or why not come and meet us at a regional trade show?